The Mahdi Army, led by Iraqi Shi’ah leader Muqtada al-Sadr, has marked the end of another chapter in its two-and-half-month-long armed insurrection against the US-led occupation troops: on June 24 it declared a unilateral ceasefire in the Baghdad slum-township of Sadr City. The Mahdi Army Central Command said in a statement: "Due to the exceptional circumstances that our people face, we have decided to stop as of tonight the military operations in Sadr City until we receive new orders." According to the terms of the ceasefire spelled out in the statement, fighters of the Mahdi Army will not shoot on US convoys patrolling the city, but reserve the right to "self-defence." The statement warned the fighters to "abide by this decision or face expulsion." The ceasefire came as the Mahdi Army was bracing itself to cope with a wave of violence that had long been expected to grip the country as the transfer of limited power on June 30 from the US-led Coalition Provisional Authority to an interim government drew near. The statement went on: "The Mahdi Army wants the security situation to stabilise and does not want those who are bent on causing chaos in the run-up to the power transfer to succeed." It also expressed the readiness of the Mahdi Army to protect "all those who might be targeted by terrorists, notably in the coming two weeks." Sadr had earlier agreed to a truce with occupation troops in the cities of Karbala and Najaf. In May Mahdi Army fighters withdrew from Karbala. 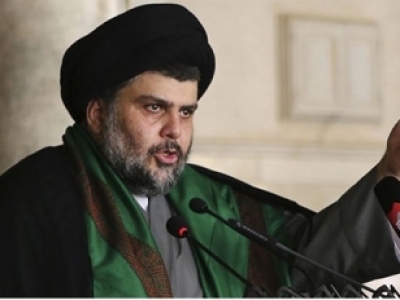 On June 16 Muqtada al-Sadr agreed to reduce the presence of Mahdi Army fighters in Najaf, in keeping with an agreement on June 4 that ended a protracted stand-off with occupation forces in that city, where Imam Ali bin Abi-Talib (ra) is buried. A statement issued by al-Sadr said: "Each of the fighters of the Mahdi Army, the loyalists who made sacrifices … should go back to their provinces to carry out their duty." Although the ceasefire brings to a close a bloody chapter in the Mahdi Army’s confrontation with the occupation forces, it is not likely to close the book on the escalating conflict between the Americans, with their determination to dictate the political future of Iraq, and al-Sadr, with his relentless demand that foreign troops leave the country. But apart from becoming a thorn in the side of the occupation, the meteoric rise of the al-Sadr movement on the Iraqi political scene since the American invasion sheds light on a complex process of polarisation along a number of fault lines that run through the Iraqi Shi’ah community. Foremost among these fault lines is the debate over the boundaries of the political role of the ulama. This issue runs deep within modern Shi’ah political thought. Yet, despite its importance, there has been a great deal of evasiveness in modern Shi’ah discourse, tending to disguise the scope of the Shi’ah ulama’s involvement in public life and in the political arena. Muqtada al-Sadr’s movement has occupied centre stage in the dichotomy between political activism and political quietism in Shi’ah political discourse in Iraq since its beginnings in the 1990s as a grassroots movement that rallied behind Muqtada’s father, Ayatullah al-Udhma Muhammad Sadiq al-Sadr, who was assassinated (with two sons, Mustafa and Mu’ammal) by Saddam’s hit-squads in February 1999. The Ayatullah, commonly referred to as al-Sadr al-Thani (‘the second al-Sadr’) to distinguish him from Ayatullah al-Udhma Muhammad Baqir al-Sadr (known as al-Sadr al-Awwal, ‘the first al-Sadr’, and who was executed by the Saddam regime in April 1980), believed in wilayat al-faqih (guardianship or rule of the jurist) and the necessity of establishing an Islamic state. This stance seems to have been shaped under the influence of two of al-Sadr al-Thani’s teachers at the Najaf hawzah (seminary): al-Sadr al-Awwal and the late Imam Ruhullah Musawi Khomeini (ra); the latter had lived in Najaf from 1964 to 1978. Both these teachers rejected the apolitical and quietist stance that had long prevailed in Shi’ah circles, advocated the involvement of the ulama in public affairs, and held that the establishment of an Islamic state is necessary. Al-Sadr al-Thani’s activist outlook filled a gaping need for proactive leadership within the Iraqi Shi’ah community. It gained him a large following and made him a focus of internal opposition to Ba’athist tyranny, which eventually cost him his life. But it also put him on a collision course with quietist ulama in Najaf, who shun direct political action, including Ayatullah al-Udhma Ali al-Sistani and Ayatullah al-Udhma Muhammad Sa’id al-Hakim. Al-Sadr al-Thani developed a theory that distinguished between al-hawzah al-natiqah (vocal hawzah) and al-hawzah al-samitah (silent hawzah); he argued that the silence of the ulama constitutes an endorsement of the oppressive and tyrannical political establishment. He defied the Ba’athist government’s prohibition of Friday prayers, sending his representatives to mosques throughout the country with instructions to establish and conduct jumu’ah. He also set up a network of Shari’ah courts outside the Ba’athist judicial system to adjudicate disputes between his followers. The loose and flexible organisational structure of this network has proved suitable for mass political and paramilitary action since the fall of Saddam’s government. Echoes of al-Sadr al-Thani’s anti-quietist stance continue to be heard today through a number of pro-Sadr publications that have been publishing crude and fiery articles expressing the stand of the al-Sadr movement on current affairs. 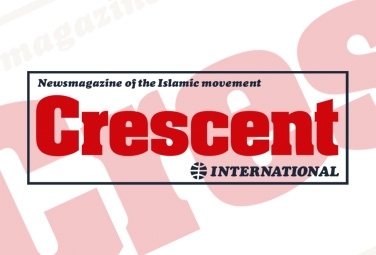 For instance, on May 26 Ishraqat al-Sadr carried a page-long commentary that discussed the role of Ayatullah Sistani in the political process in Iraq. The author of the article fulminated against Sistani for his "negative" stand on US violations in the shrines and for what he described as Sistani’s "negativity and ineffectiveness" in steering the political process to serve the interests of the Iraqi people. On May 28 Ansar al-Mahdi, another pro-Sadr publication, railed against the Shi’ah religious establishment for its "silence" on various developments, "except when it comes to attacking the vocal religious authority." The author, Ali al-Nasseri, said that "only lazy and parasitic elements" belong to the silent camp. Al-Sadr al-Thani’s defiant and activist stance appealed to the young and poor in Iraqi Shi’ah society, who had grown impatient with the quietism and political aloofness of the authorities in Najaf. Muqtada al-Sadr inherited from his father not only an extensive network of representatives but also a large and devoted following concentrated mainly among urbanized Shi’ah tribesmen. Areas like the poor slum-township of Sadr City in eastern Baghdad and the southern city of Amara are considered strongholds of the al-Sadr movement. The demographic makeup of these areas bears witness to the movement’s strong appeal to urbanized Shi’ah tribal people. The poor neighbourhoods of Sadr City are home to more than two million people, most of whom are Shi’ah and have migrated from villages and farms in southern Iraq. The township itself was founded in the early 1960s by Iraq’s first Republican ruler, General Abd al-Karim Qassim, to absorb the waves of Shi’ah immigrants from the south of the country to the capital. It was originally named Madinat al-Thawrah ("the city of the Revolution"), in reference to the military coup (1958) that brought General Qassim to power. Under Ba’ath-party rule the township was renamed Saddam City. Shortly before Baghdad fell (which was on April 9, 2003), armed followers of al-Sadr took over the streets of the township, expelled Ba’athist militias and security forces, and took control of government buildings and hospitals. They immediately renamed the township Madinat al-Sadr al-Munawwarah ("the shining city of al-Sadr"). Visitors to al-Sadr City are often appalled by the extreme poverty and destitution in which its residents, most of whom have retained their tribal identities, ties, culture and customs, live. Residents suffer from soaring unemployment and have little or no access to basic services such as sewerage, clean water, decent roads and proper schools and housing. These dreadful conditions have turned al-Sadr City into an island unto itself, with its newly urbanized residents living in psychological and economic separation from their surroundings. In the 1990s the southern city of Amara underwent a similar process of urbanization. Throughout the decade the city received a large influx of migrants from the southern marshes. Most of the migrants were marsh Arabs: tribal people who had lived in the marshes of southern Iraq for millennia, eking out near-subsistence livelihoods from fishing and farming. The area was also a smuggling route between Iraq and Iran. After the failed anti-Saddam uprising of 1991, many anti-government organisations used the marshes as both a base and a route through which fighters were brought in from Iran to launch operations against Ba’ath party and military targets. The terrain of the region made it difficult for the Ba’athist government to subdue it militarily, so Saddam resorted to draining the marshes altogether. This created an environmental calamity and a human disaster, forcing the marsh Arabs to leave the area and settle in nearby cities. This distinctive characteristic of al-Sadr’s base of popular support highlights a class element in the polarisation process around the al-Sadr movement. The impoverished supporters of al-Sadr tend to be more militant and highly motivated for action, inspired by a strong yearning for justice. This shows in the expression in the rhetoric of their movement of hopes for the appearance of the Mahdi. Although the Islamic concept of the Mahdi has a prominent place in Ithna-Ash’ari (‘twelver’) Shi’ism, the burning passion of these expectations is particularly intense among al-Sadr’s followers. These expectations also occupied a prominent place in the scholarship of al-Sadr a-Thani, as shown by a series of voluminous works that he wrote on the subject. Al-Sadr’s followers, moreover, demonstrate an almost-blind loyalty to Muqtada, born of the unusual veneration enjoyed by his late father. The appeal of al-Sadr al-Thani stems partly from his frugal and ascetic lifestyle. It also stems in large part from the fact that he remained in Iraq, instead of leaving the country to escape the brutal Ba’athist tyranny. This sets his movement apart from other Iraqi political organisations, which only returned to Iraq after the fall of Saddam’s regime, having spent many years in exile. From the comfort of exile, these groups used to make grandiose claims about their support-bases inside Iraq; since their return these claims have mostly been exposed as at best exaggerated, and at worst empty. Unlike these returnees, who have little standing among the people who suffered under Saddam, al-Sadr’s movement is credited with having stayed in touch with the daily realities of life in Iraq. Prominent figures in this movement have made statements to the effect that the returnees have to prove their sincerity because they did not stand their ground and stay at home to share in the suffering of their people. On April 18, 2003, Muqtada delivered his first jumu’ah (Friday) khutba after the war, at the Kufa mosque on the outskirts of Najaf. In it he criticized those who went into exile: "Religious people... should not have left; the country needed them." During the recent stand-off in Najaf, this criticism of the returnees grew harsher. For instance, in an article entitled "Martyrdom in the scale of truth" published in Ansar al-Mahdi (June 11), Ali al-Nasseri attacked some groups that went into exile, describing them as "the hunting dogs of the Americans" and accusing them openly of having "worked with Iranian intelligence and all other world intelligence services." The reference to "Iranian intelligence" is revealing, especially in the light of the growing number of Western media-reports and statements by US neo-conservatives, accusing Iran of involvement in the recent insurrection. In the same article, Nasseri also says: "Our respect for the state and people of Iran is in no doubt. But we do not have any state other than that of al-Mahdi, may Allah expedite his appearance." Such statements point to the complex, long and rocky road to trust that has so far governed the relationship between al-Sadr’s movement and the Islamic State. During his lifetime, al-Sadr al-Thani was generally viewed with distrust within Iranian official and religious circles. The Iranian position was influenced by allegations that prevailed in certain Iraqi opposition circles that al-Sadr al-Thani maintained secret links with the Ba’ath regime. Promoters of these allegations used to point out the toleration shown by the Saddam regime to al-Sadr al-Thani’s activities. But these allegations were laid to rest by his assassination. However, there is also a nationalist streak at the heart of al-Sadr’s movement. Muqtada al-Sadr himself is reported to have blamed the aloofness of the apolitical religious authorities of Najaf on the fact that they are not Iraqis (al-Hayat, June 27, 2003). Al-Sadr has also said that although he believes in wilayat al-faqih, he believes that, if this system of government is established in Iraq, then the supreme faqih in Iraq will be different from the supreme faqih in Islamic Iran. In many ways the disadvantages of this process of polarisation, coupled with the exclusivist tendency that lies at the heart of the al-Sadr movement, as well as Muqtada’s junior status and lack of political skills, are obvious. In the faction-ridden Iraqi scene, it could increase fragmentation and bring about civil strife, paralysing the resistance to the occupation. So far Muqtada has been able to mend some fences with Islamic Iran, and has made overtures towards the Sunni community. Recent opinion-polls show that his anti-American stand is earning him increasing popular support. It remains to be seen whether these fault lines will be overshadowed by the desire to escalate confrontation with the occupation.